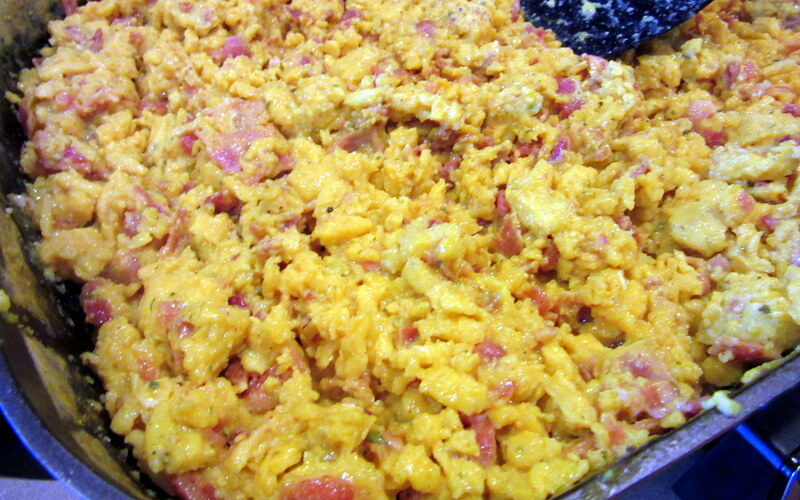 We call upon Dad to make his scrambled eggs at most family brunch occasions. 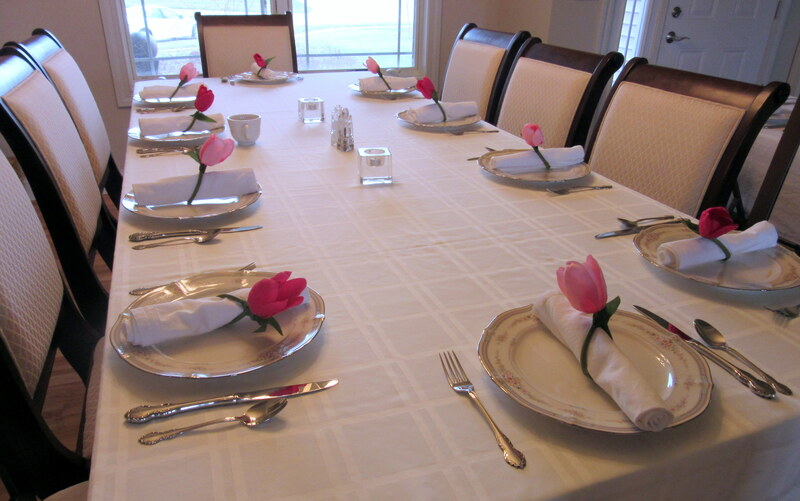 Easter brunch is a particularly good time for a big batch of Dad’s eggs. 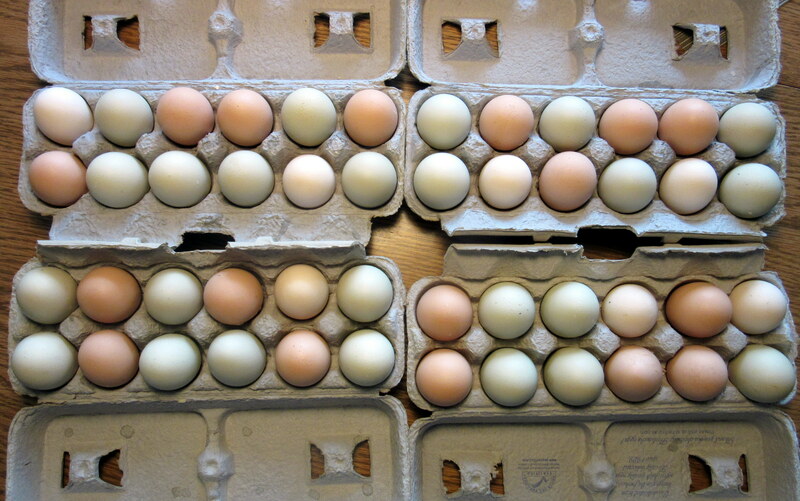 It’s spring, my chickens are in full production mode, and it takes about four dozen eggs to feed the whole family. 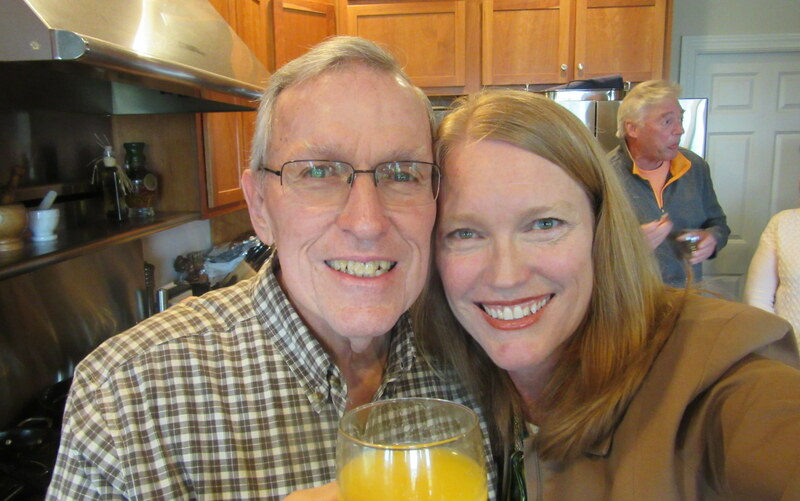 At this year’s Easter brunch, I followed Dad around with a camera to capture the scrambled egg-making process. He shared that the secret to his scrambled eggs isn’t so much the ingredients – although he does have a few “secrets” when it comes to seasoning – it’s all about the technique. 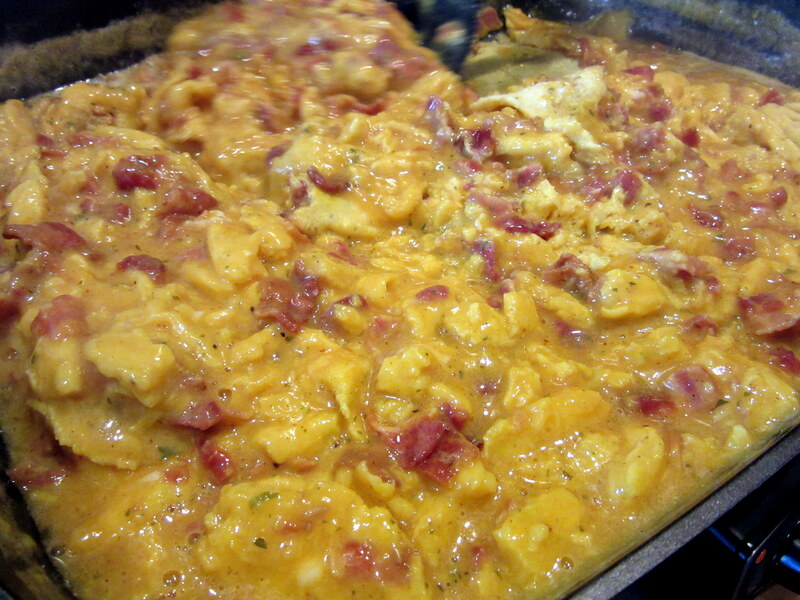 My dad’s secret to perfect scrambled eggs is to cook them low and slow. We’ve all had scrambled eggs that are tough and rubbery. That’s what happens if they are cooked quickly or if the heat is too high. Dad explains that for tender, creamy eggs, you need to cook them slowly over low heat, turning and separating them gently the whole time. And you need to take them off the heat just before they are fully set. 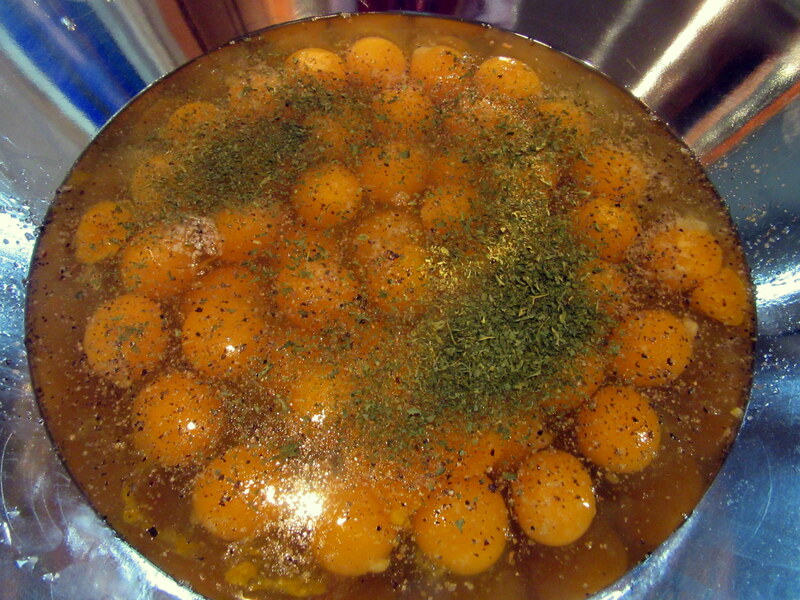 The eggs may seem underdone, but they will continue thicken for several seconds after they are removed from heat. 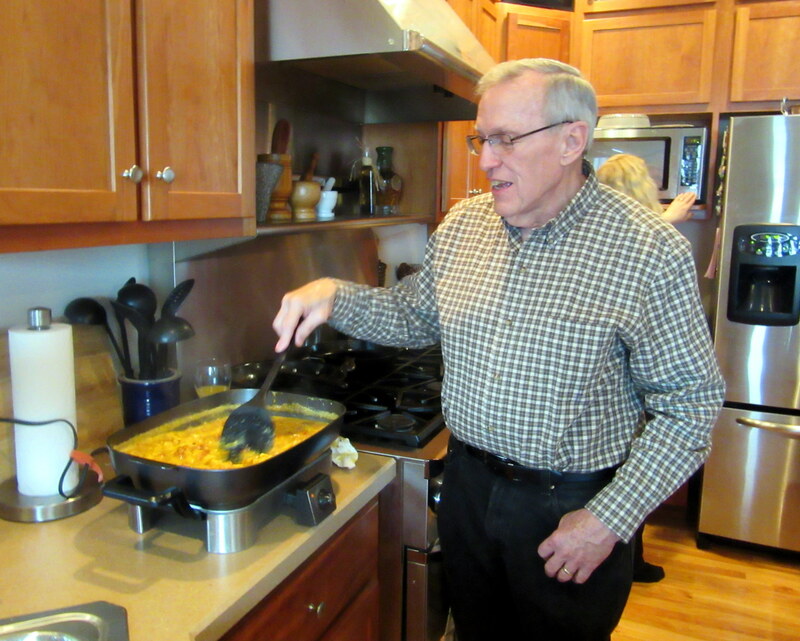 Read on to see how Dad made four dozen scrambled eggs for a crowd at my sister’s house on Easter. 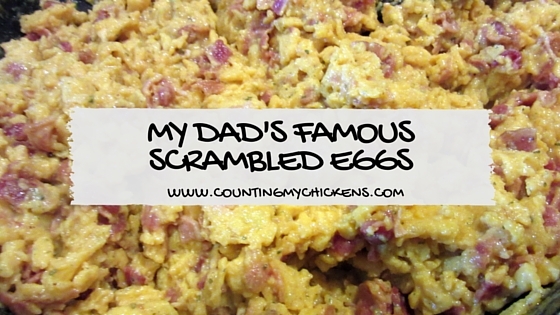 If you want to make my dad’s famous scrambled eggs for a more modest crowd, scroll all the way to the end for a recipe that uses a mere one dozen eggs. Good cooking starts with excellent ingredients, and Dad started with four dozen eggs fresh from my backyard hens. The eggs were almost too pretty to crack open, but my sister claimed the shells to recycle in her garden. Here’s what four dozen eggs look like cracked in a large bowl. Just look how dark those yolks are! Those aren’t store-bought eggs, folks. My dad doesn’t like to give away his secret ingredients, but I managed to sneak a photo. 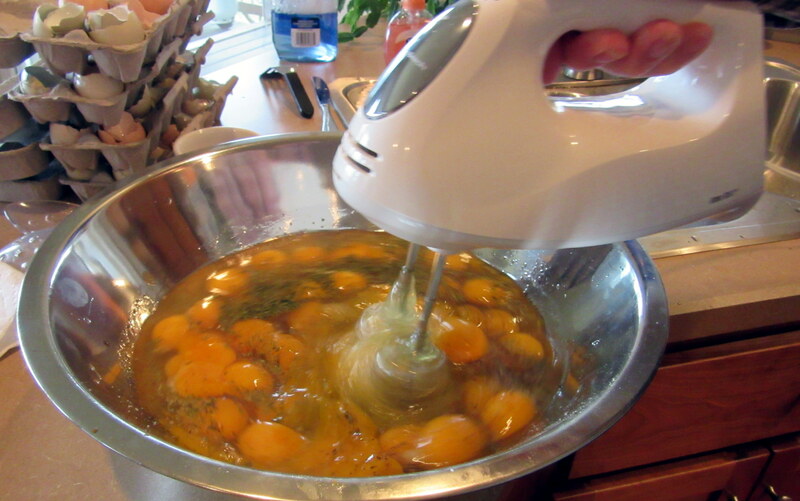 I normally would use a whisk to scramble eggs, but when you are working with four dozen, an electric hand beater makes the job a lot easier. 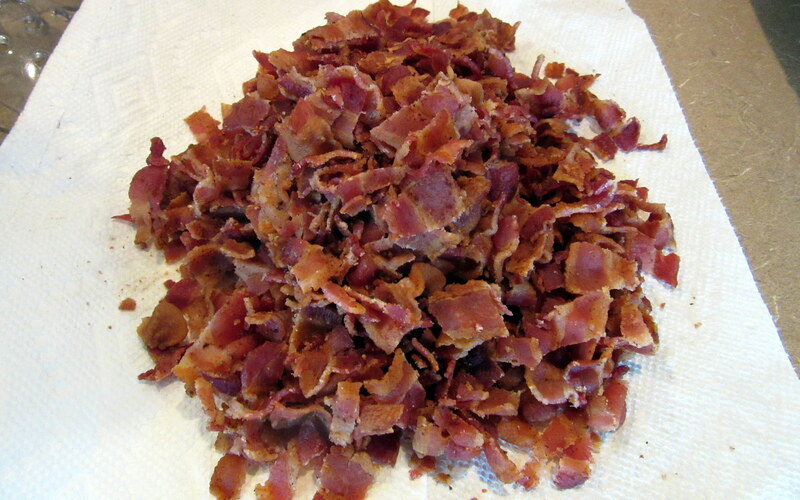 Everything is better with two pounds of bacon! The egg mixture is ready for cooking. 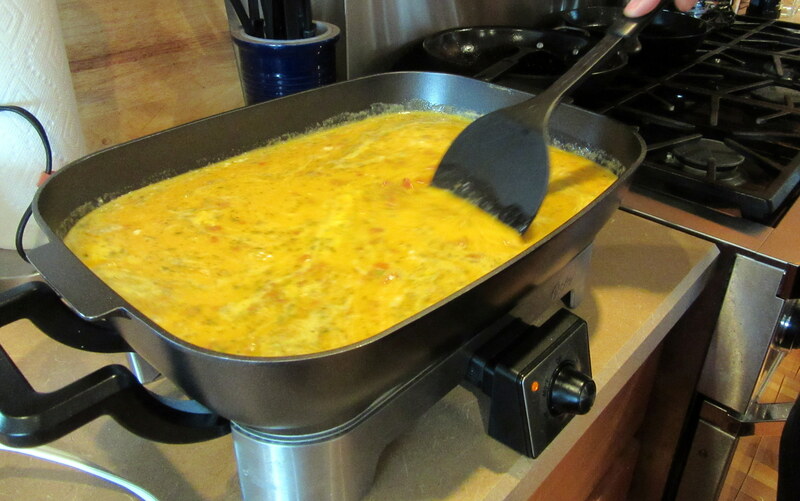 When cooking eggs for a crowd, a large electric skillet is the way to go. The real secret to my dad’s scrambled eggs is the low and slow cooking technique. You have to be patient while they cook, and you have to stir them constantly. Dad didn’t want me to post any photos of him, but he’s so darn cute that I just couldn’t resist. Four dozen eggs take a long time to cook. 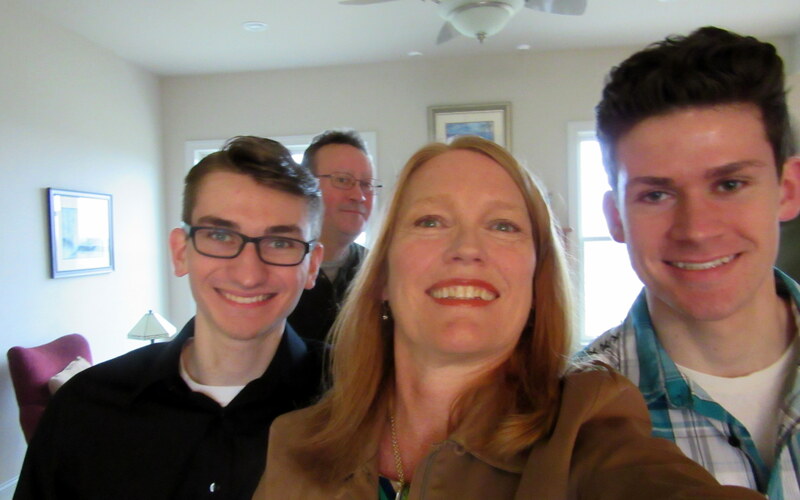 While Dad stirred away, I had plenty of time to get some selfies with the rest of the fam, admire the table, and scope out my sister-in-law’s homemade butter braid. Back in the kitchen, Dad stressed that it’s important to turn off the heat before the eggs are fully set. They ‘ll be cooked to perfection by the time they hit the plate. 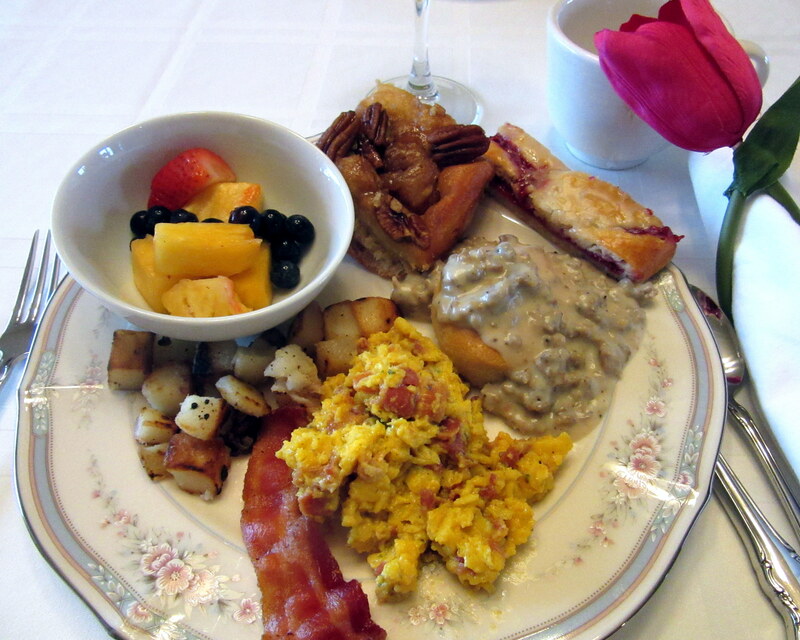 And here they are, Dad’s famous scrambled eggs front and center on a gorgeous plate of food! Dad reluctantly has agreed to share the secret recipe for his famous scrambled eggs with Counting My Chickens readers. Use it well, please, and thank him in the comments section below. He’ll get a kick out of that. The trick to perfectly cooked scrambled eggs is to cook the beaten eggs slowly over low heat while gently stirring and folding them into soft, creamy curds. Cook bacon in a large, heavy skillet until brown and crispy. 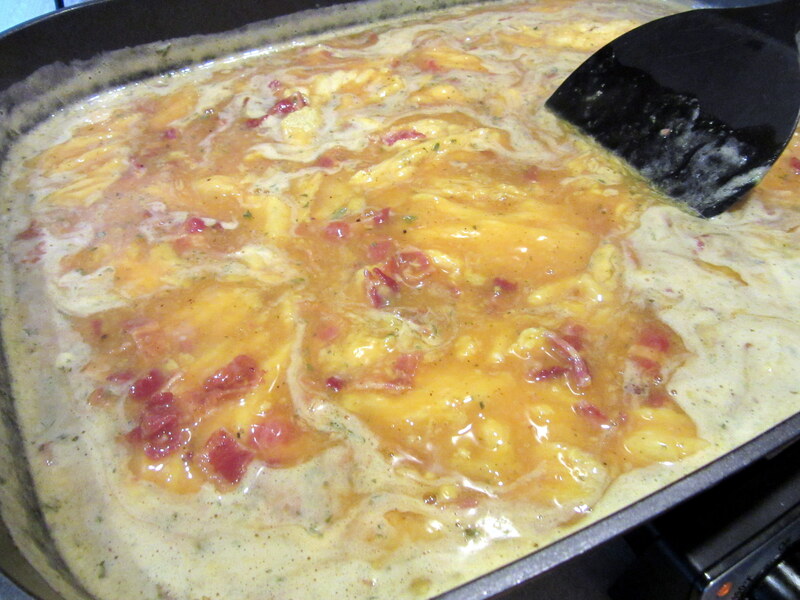 Remove the cooked bacon from the skillet with a slotted spoon and set aside. Drain all but one tablespoon of bacon grease from the skillet. 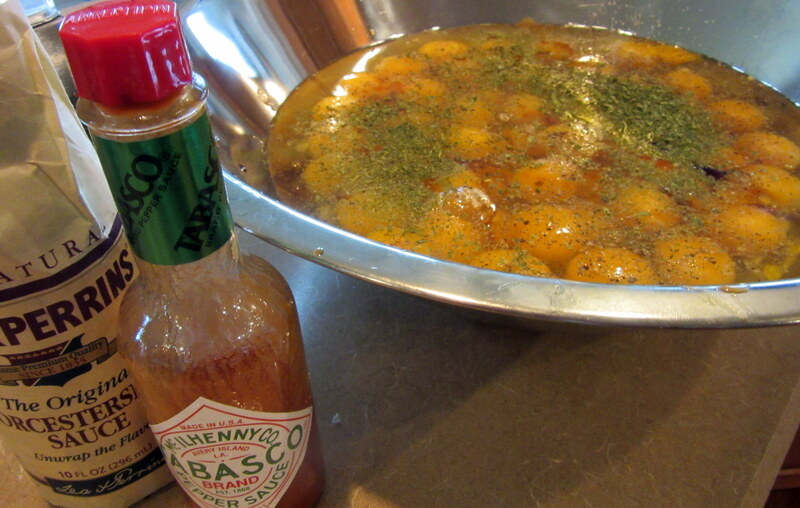 Crack eggs into a large bowl and and add remaining ingredients. Beat together until the egg whites and yolks are thoroughly combined. Stir in the cooked bacon. Return the skillet to low heat. 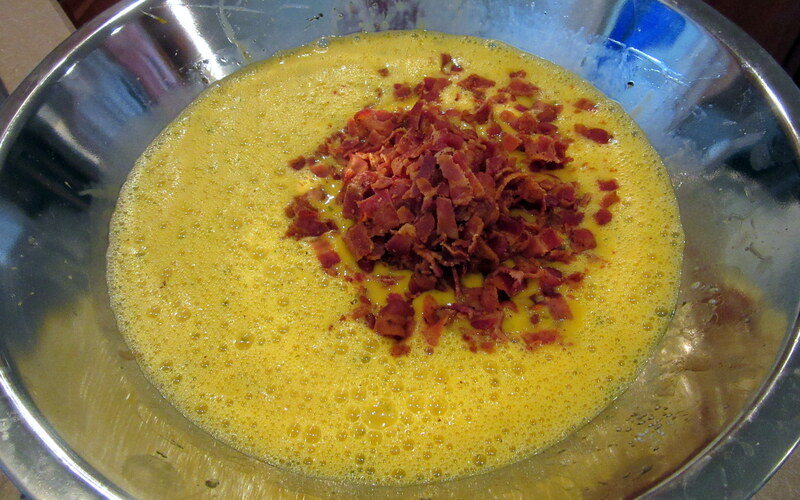 When the bacon fat in the skillet begins to glisten, pour in the egg and bacon mixture. Using a wooden spoon or or heatproof rubber spatula, stir the eggs gently, turning and separating them as they thicken while scraping the sides and bottom of the skillet. 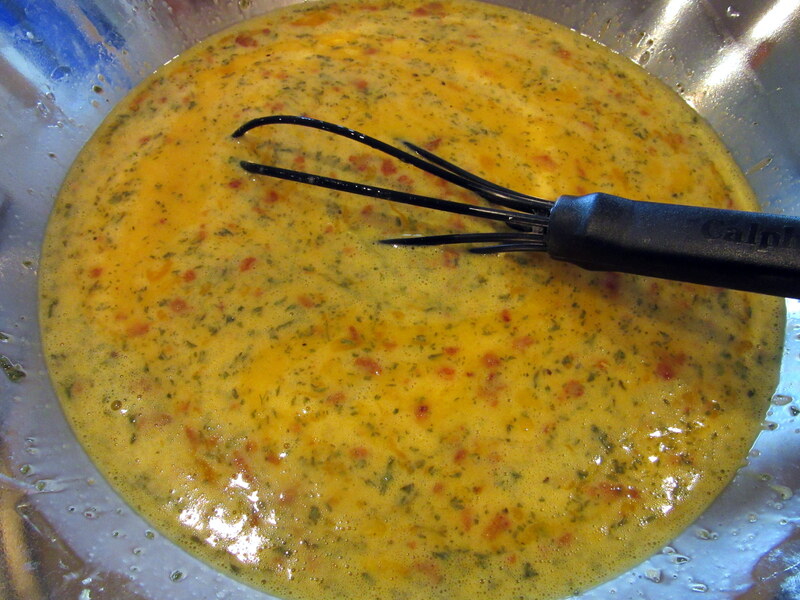 Continue stirring and folding until the eggs are almost fully set and still moist, about 8 to 10 minutes. 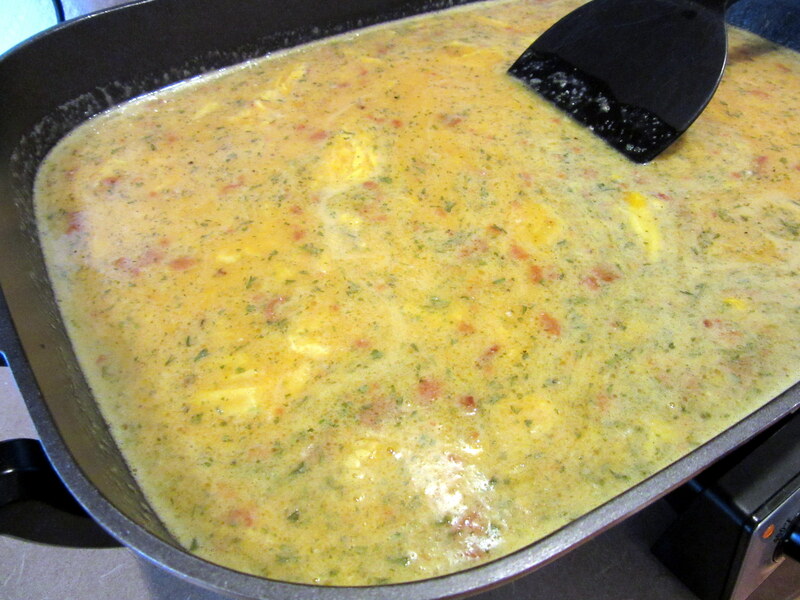 Remove the eggs from the heat when they are just under the desired consistency; they will continue to thicken for several seconds after being taken off the heat. 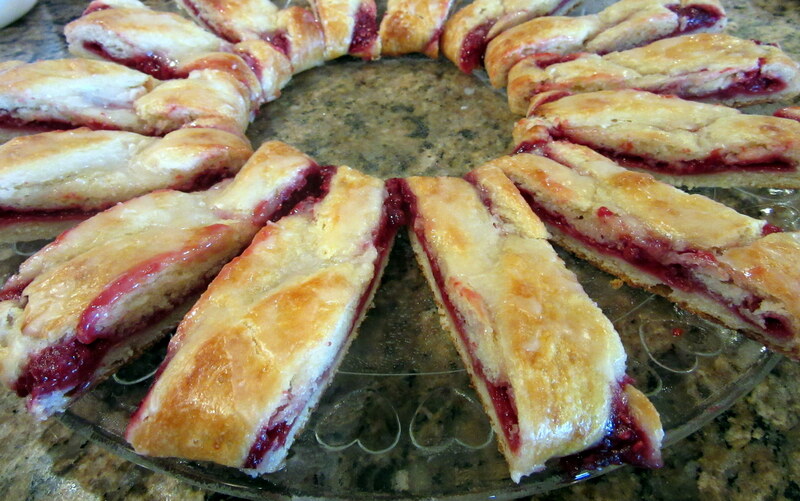 Transfer to warmed plates and serve immediately. Shared on the Clever Chicks Blog Hop. This entry was posted in Cooking with Garden Produce and tagged brunch recipes, dad, eggs, scrambled eggs by Deborah Neyens. Bookmark the permalink.